TTI exists to advance Christ's Kingdom by multiplying disciples and disciple-making churches around the world. 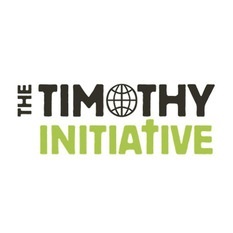 The Timothy Initiative is an international church planting organization which was established with the purpose to train and equip “Timothys” (Pastors/Church Planters). We specifically target church planters lacking the means and/or availability to receive a balanced Biblical and theological training throughout Asia, Africa, and the Americas. Each church planter trained is expected to plant at least one multiplying and reproducing church in their region.